[S16] Jirí Louda and Michael MacLagan, Lines of Succession: Heraldry of the Royal Families of Europe, 2nd edition (London, U.K.: Little, Brown and Company, 1999), table 78. Hereinafter cited as Lines of Succession. [S38] John Morby, Dynasties of the World: a chronological and genealogical handbook (Oxford, Oxfordshire, U.K.: Oxford University Press, 1989), page 156. Hereinafter cited as Dynasties of the World. [S38] John Morby, Dynasties of the World, page 130. [S38] John Morby, Dynasties of the World: a chronological and genealogical handbook (Oxford, Oxfordshire, U.K.: Oxford University Press, 1989), page 143. Hereinafter cited as Dynasties of the World. [S38] John Morby, Dynasties of the World: a chronological and genealogical handbook (Oxford, Oxfordshire, U.K.: Oxford University Press, 1989), page 130. Hereinafter cited as Dynasties of the World. She gained the title of Pfalzgräfin von der Pfalz. 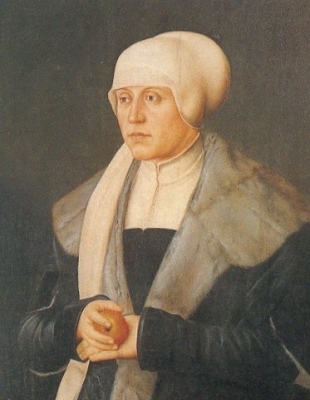 Margarete von Habsburg was born in 1416.1 She was the daughter of Ernst I 'the Iron' Herzog von Österreich and Cimburgis of Mazovia.1 She married Friedrich II Kurfürst von Sachsen, son of Friedrich I Kurfürst von Sachsen and Catherine von Braunschweig-Lüneburg, on 3 June 1431. She died on 12 February 1486. 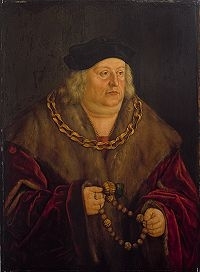 Friedrich II Kurfürst von Sachsen was born on 22 August 1411. He was the son of Friedrich I Kurfürst von Sachsen and Catherine von Braunschweig-Lüneburg.2 He married Margarete von Habsburg, daughter of Ernst I 'the Iron' Herzog von Österreich and Cimburgis of Mazovia, on 3 June 1431. He died on 7 September 1464 at age 53. [S38] John Morby, Dynasties of the World: a chronological and genealogical handbook (Oxford, Oxfordshire, U.K.: Oxford University Press, 1989), page 140. Hereinafter cited as Dynasties of the World. She gained the title of Principessa Bianca di Milano.